The Raj Ayurveda Weight Management Program is based on the science of Maharishi Ayurveda and provides the most comprehensive, natural approach to weight loss and weight management available today, both in terms of identifying causative factors and in providing treatment. Weight management is highly individualized. Whether you are overweight or underweight, there are numerous factors involved that need to be addressed. For this reason, the multi-modality approach of Ayurveda is an ideal for weight management concerns. Your treatment program at The Raj starts with an Ayurvedic assessment to identify specific factors affecting your condition, allowing for customized treatments, tailored just for you. In order to be fit and healthy, it is essential to reestablish your natural balance and biological rhythms, and to understand your body type and how different foods and routines affect your body, mind, and emotions. The Raj Ayurveda Weight Management program helps to 1) indentify your Ayurvedic Body Type, 2) detoxify and eliminate toxins which may stimulate hormones and promote weight gain, 3) improve metabolism and 4) provide a customized diet and daily routine to support your weight goals. Our Ayurveda Experts will customize Weight Loss or Weight Management program just for you. You will leave with specialized recommendations to allow you to continue your progress at home. The Raj offers the highest quality of individualized service and treatments for Weight Management. The result is a unique experience of nurturing attention and care. Ayurvedic experts, Mark Toomey PhD and Vaidya MP Manohar, work in conjunction with Dr. Robert Schneider, MD, to create an effective, customized program to address your arthritis condition. Identifying the source of your weight imbalance using Ayurvedic Pulse Assessment, an individualized program can be created to effect significant changes, naturally and holistically. Utilizing only natural approaches, The Raj Weight Loss Program helps to remove toxins, boost the immune system, and reestablish biological rhythms, with no harmful side effects. How do The Raj detox treatments help with weight issues? Many disorders can occur when toxins build up in tissues. After accumulating in the tissue, toxins can block the channels of circulation to affected areas, thus diminishing the natural cleansing processes of the body and allowing even more impurities to build up. Panchakarma, the traditional Ayurveda detoxification treatments you will receive during your weight management program, cleanse the body and open the channels of circulation by providing the most thorough internal cleansing program available in Ayurveda medicine. In fact, research has shown that these treatments remove a class of toxins (fat-soluble toxins) that no other detox treatments can remove. Why is this important? The average American is exposed to 10 to 13 different pesticides through food, beverages and drinking water every day. And nine of the 10 most common pesticides are endocrine-disrupting, which have been linked to weight problems. Many of these are fat-soluble toxins, meaning that they attach to our fat tissues and to the fatty layer that surrounds every cell in our body. Many of chemicals can stay in the body up to 30 years. These toxins disrupt the function of our hormonal system, contributing to heart disease, diabetes, obesity, and high cholesterol. The Ayurvedic treatments at The Raj have been scientifically shown to remove up to 50% of these dangerous toxins in just a 5-day program. No other methods have been shown to remove this class of fat-soluble toxins from the body. This is the ideal way to begin any weight management program. How do the doshas influence weight issues? There can be many factors creating the weight management concerns, and it is important to determine which ones are predominant in each individual. For example, people often assume that weight gain is created by an imbalance in Kapha dosha. In fact, many times the underlying imbalance is that of either Vata dosha or Pitta dosha. It is important to identify these underlying factors in order to begin a successful program to create balance. Why is Pulse Assessment important for weight management? There are different healthy weights and builds for different people. Ayurveda has a deep understanding of body types or psycho-physiological constitutions. Modern medicine also has touched on the reality that different people by nature have different builds through its description of ectomorph, endomorph and mesomorph physiques. Both systems understand that, by genetic nature, some people will have heavier builds at a certain height than others. Heavy-built individuals are still healthy at weights that would be unhealthy for individuals with a genetically thinner build constitution. During your initial Ayurveda consultation, our Ayurvedic experts will use traditional Ayurvedic pulse assessment and other Ayurveda evaluation tools to determine natural state balance and state of imbalance in your body’s inner intelligence. This assessment is not an evaluation of the state of cells and tissues but an evaluation of a deeper level of physiological functioning that controls the healing and self-repair mechanisms of the body. Disruptions on this level are the root cause of disorders in the body. People can have weight issues for different reasons and need different programs to address the condition. Our Ayurvedic expert will not be just match treatments to the condition of weight management, but will individualize the program to the specific imbalances that are causing your symptoms. This is the value of the initial Ayurveda assessment of your state of balance and imbalance at the start of your program. Why is there such an emphasis on digestion? Proper use of spices and cooking oils. Herbal preparations for improving digestion. Important differences between breakfast, lunch and dinner foods. A simple system to determine a balanced diet. Digestion enhancing foods to favor. Digestion depressing foods to reduce. Eating behavior for maximum digestion. Proper food combinations to avoid indigestion. What kind of diary changes will I have to make? Dietary knowledge is at the foundation of the Ayurvedic approach to weight management. Your consultation will provide you with detailed understanding of which foods to favor and avoid. In general, while trying to normalize digestion, avoid foods that are hard-to-digest, clogging to the physiology and heavy in nature. Favor foods that are easy-to-digest, help cleanse the physiology, strengthen digestion and balance metabolism. Consultations with The Raj Ayurveda Health Consultants, along with daily educational meetings, will help you understand which foods may obstruct circulation and create digestive issues. These foods have the potential to create toxins and need to be avoided. You will also learn which foods are most easily digested, thus creating micronutrients that can be assimilated into the tissues, rebuilding strength and balance. As important as what you eat is how well you digest, metabolize, and eliminate food. The Raj Weight Management programs helps to improve digestion, metabolism and elimination, building a strong foundation for your healing process. How can stress affect weight management? Physical and mental stress are known to trigger weight problems. There are hormonal changes and other biochemical responses to stress that can aggravate the nervous system and affect our digestion as well as skewing our relationship with food. Many individuals experience that improper eating habits and cravings are worsened by heightened stress, anxiety and mental fatigue. It is common to find that accumulated stress and mental imbalance drive the eating behavior at the basis of weight management conditions. 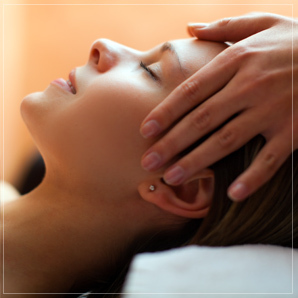 Enhancing the body’s ability to recover from stress is an integral part of The Raj’s approach to health and well-being. At The Raj, we recommend the practice of the Transcendental Meditation® program. Please note that the price of TM is not included in your in-residence package. Why is a holistic approach important for weight management? Unless weight management is part of a holistic health plan, the underlying imbalances will remain and the weight concerns will return. For example, research has shown that extreme dieting actually increases the hormones that stimulate us to eat. In order to be fit and healthy on an ongoing basis, it is essential to understand your body type, and how different foods and routines affect your body, mind, and emotions, and to reestablish your natural balance and biological rhythms. Can your treatments significantly remove harmful toxins? The Raj has offered spa-goers the benefits of the world’s oldest system of natural healthcare for 20 years. The results are profound and have been well documented both in research and case studies. One very remarkable study, led by Robert Herron, Ph.D., in 2002, found a significant reduction of dangerous chemicals in the blood after only 5 days of treatment. A study published in the Sept./Oct. 2002 issue of Alternative Therapies in Health and Medicine found that Panchakarma, the centuries-old Ayurveda purification program, reduced fat-soluble toxicants such as DDE (a by-product of DDT) and PCBs by about 50 percent. Such toxins tend to remain in the body for a very long time (up to 40 years). To date there is no other proven means of eliminating this class of disruptive chemicals from the physiology. Lipophilic (fat-soluble) toxicants are generally considered to be among the most problematic of environmental contaminants. They accumulate in plants and animals and thus accumulate in higher quantity up the food chain. For this reason levels of lipophilic toxicants increase in humans with age and can be passed from mother to child. These toxicants have been associated with hormone disruption, immune system suppression, reproductive disorders, several types of cancer, including breast cancer, and other diseases, including childhood obesity. DDE (the by-product of the pesticide DDT after it enters the body) has recently been linked to Alzheimer’s disease. The results of the two-month longitudinal study showed that levels of PCBs and levels of several pesticides including DDE were reduced by 46 percent and 58 percent respectively after a 5-day treatment program. Without this intervention, the expected drop over two months would be only a fraction of one percent. No other method had been scientifically verified to reduce levels of these lipid-soluble toxicants in the human body without causing negative side effects. Robert Herron, Ph.D., lead author of this study, noticed that PCB and DDE levels appeared to be unexpectedly high in the general population. “These toxicants were banned decades ago and were assumed to be declining to negligible levels in the U.S. population. Our findings, however, suggest that they are still entering the food chain and appear to be increasing. One possible explanation is that produce imported to the U.S. from other countries may contain banned toxicants since these hazardous chemicals are still widely used for agriculture and malaria control in other countries,” said Herron. The Raj exceeded my expectations in every possible way. I felt healthier after one day. I’m leaving here 10 pounds lighter, healthier and I feel smarter too. I came two years ago. Since that first visit I have lost 15 pounds and am much healthier and happier. This visit was another big step toward perfect health. The Raj has taught me how important the digestive system is to accomplish losing weight and at the same time removing toxins from my body. The food was fabulous! I was full every day and lost weight. The staff is very helpful and works toward a guest’s happiness, always.